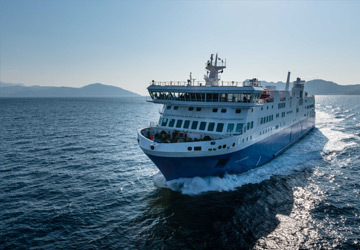 The Marseille Bastia ferry route connects France with Corsica and is currently operated by 2 ferry companies. The Corsica Linea service runs up to 5 times per week with a sailing duration of around 11 hours while the La Meridionale service runs up to 3 times per week with a duration from 11 hr. 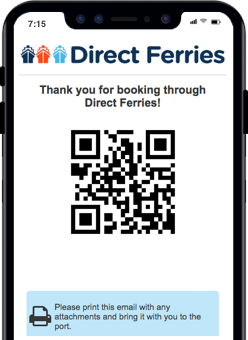 So that’s a combined 8 sailings on offer per week on the Marseille Bastia route between France and Corsica. Compare now and get the best fare at the time that you want to travel. Prices shown represent the average one way price paid by our customers. The most common booking on the Marseille Bastia route is a car and 2 passengers. The French city and port of Marseille lies on the Mediterranean Sea coast in the south of France. It is France's second largest city and France's largest commercial port. Stretching to the east from the Old Port to the Reformes Quarter is the city's main thoroughfare. At the entrance to the Old Port are two large forts, Fort Saint Nicolas on the south and Fort Saint Jean on the north. The Frioul Archipelago is located in the Bay of Marseille and is made up of four islands. Located on one of the islands is the Chateau d'If which was made famous by the novel by Dumas, The Count of Monte Cristo. The city's centre has a number of pedestrianised streets, most notably the Rue St Ferreol, Cours Julien near the Music Conservatory, the Cours Honore-d'Estienne-d'Orves which is off the Old Port, and the area around the Hotel de Ville. 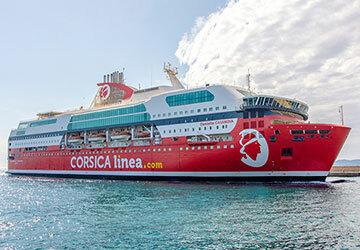 Four ferry companies run routes out of Marseille and offer scheduled services to Corsica, Sardinia, Algeria and Tunisia. There are four separate terminals and are all in the "gares maritimes sud" (southern terminals) district. 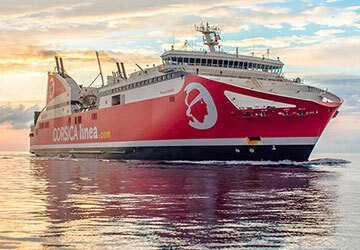 National Terminals One and Two serve passengers to and from Corsica and Sardinia, while International Terminals Three and Four serve passengers to and from Algeria and Tunisia. The city of Bastia is located on Corsica's east coast and faces Italy with views out to the Tuscan Archipelago, and is the second largest city on Corsica. To the north of Bastia is le Cap Corse which is a peninsula dotted with Genoese Towers and a large nature reserve that is popular with hikers. The town's history, like many in Corsica, begins with the Genoese who ruled Corsica from the 14th century. In the south of the town, the Old Port (Vieux Port) is a popular spot to take a stroll and to see the town's jaded buildings clustered around the fishing port, which are not dissimilar to those you might expect to find in Venice. From the port, a stroll through the Romieu garden will take you to the citadel above the port, which is actually the original Genoese town that was protected by defensive walls, added during the 15th century, and includes the Porte Louis XVI through which you enter the citadel. The ferry Port of Bastia links the city to France (Marseille, Nice and Toulon) and Italy (Genoa, La Spezzia, Livorno, Piombino, Savona, Portoferraio).